There’s something about small islands and their proximity to the hungry sea that ensures they are awash with creative talent. Gather some inspiration and experience their wild energy for yourself with a season of extraordinary musical events on a remote archipelago situated in the North Atlantic between Iceland and Norway. The 18 Faroe Islands have inspired countless musicians and composers, and the locals love nothing better than to immerse themselves in festivals, cultural evenings and cosy concerts. 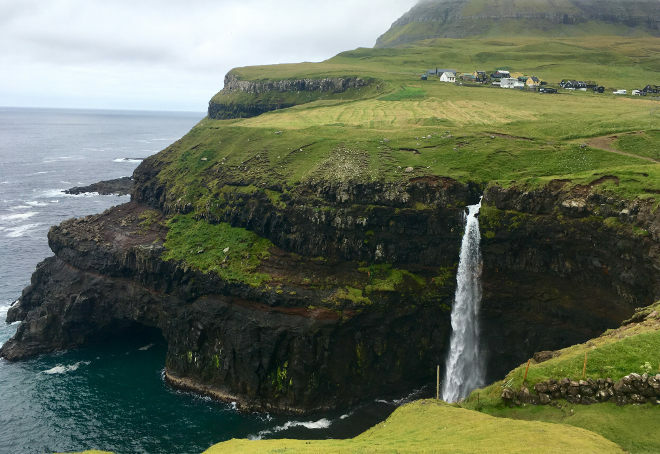 From the living rooms of locals to sandy beaches, sea caves and sweeping valleys, there is a music event to suit every sensibility this year in the Faroe Islands. Here’s my pick. 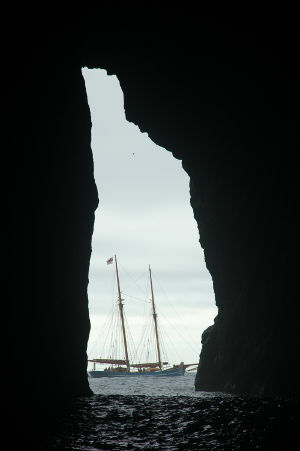 As part of Summartónar, a series of concerts in traditional and unusual venues across the Faroe Islands, Concerto Grotto take place in natural grottos hidden in the huge sea cliffs on the island of Hestur in the Klæminstgjógv gorge or on Nólsoy, depending on the weather. Depart from Vágsbotnur aboard a beautiful Faroese schooner, the Norðlýsið (the Northern Light) and sail into the seas around the islands before transferring into a smaller vessel to enter an enormous cliff cavern. Here, musicians almost invisible I the darkness make the very most of the natural acoustics. An ethereal and unique event, these grotto concerts are sure to evoke a sense of wonderment and awe at both the music itself and their natural surroundings, as well as provoking some story ideas. The internationally-acclaimed G! Festival takes place in the village of Syðrugøta – population 400 – on the island of Eysturoy. The village has a population of just 400, and lies within a natural amphitheatre set between grass-carpeted peaks and the ocean, in a break between the cliffs skirting the coastline. Stages are built on the beach and the football pitch for the unique three-day event. Understandably, the five stages have previously attracted world-class music and well-known names such as The Guillemots and Travis, and this year will welcome British band Desert Mountain Tribe, amongst many others. 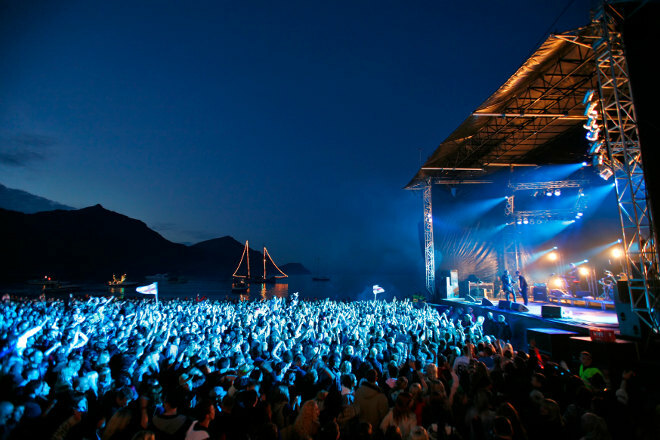 This pop-centric festival attracts the largest crowd for any event in the Faroe Islands. It’s a family-friendly festival, with activities for children, a funfair and entertainers, alongside well-known international and Faroese artists performing popular music. This gorgeous anti-festival creation will suit anyone who likes things a bit cosier and more intimate. 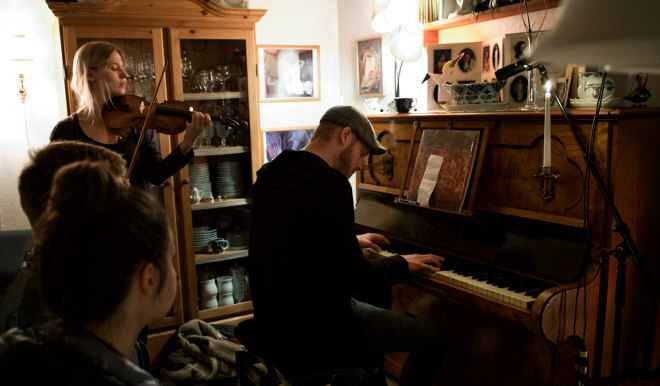 HOYMA, is a series of concerts performed in locals’ living rooms: 1 evening, 20 concerts, and 10 artists in 10 homes. The village of Gøta on the island of Eysturoy provides the backdrop for this innovative event, where people walk from door to door, popping in to listen to live music performed in the living rooms of locals. All the music is unplugged and performed acoustically. HOYMA harks back to the Faroese tradition of going from house to house and gathering around the fireplace in the living room – the way that people living on these isolated and stormy islands have socialised for centuries, sharing stories and songs. Daily flights to the Faroe Islands (London to Vágar Island, via Copenhagen) operate year-round and cost from £368 pp return. Seasonal twice-weekly direct flights to the Faroe Islands (Edinburgh to Vágar Island) operate from March to December and cost from £199 pp return. Visit www.atlantic.fo for further information.